Here's the thing: Android version updates are a painfully slow affair for every device that isn't a Nexus or Pixel. This has been the reality ever since the operating system's inception, and so far nothing has managed to change the situation. But Google thinks that it can help, at least somewhat, by incorporating a modular base into its OS, starting with the Android O release later this year. Quite complicated indeed. But from this point on Android will gain a "Vendor Interface" (VI), thanks to a new development effort Google calls Project Treble. 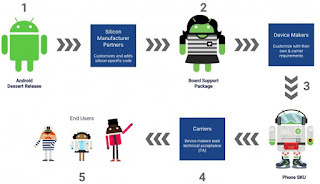 The VI's aim is to separate the "Vendor Implementation" (that is, "the device-specific, lower-level software written in large part by the silicon manufacturers"), from the Android OS framework. 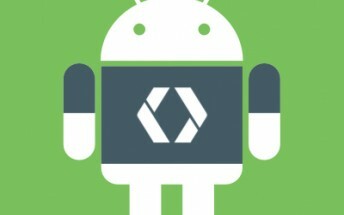 The new VI will sit in between the Android OS framework and the aforementioned Vendor Implementation. And the new VI will be validated by a Vendor Test Suite (VTS), which is analogous to the Compatibility Test Suite (CTS) that Google has been using for API testing of apps. The VTS will ensure forward-compatibility of the VI. The benefits of this approach are pretty obviously laid out in the images above. Before, the VI needed to be reworked after every single Android OS framework update, while from this point on that won't be the case anymore. This does indeed have the potential to speed up the update process for end users, but probably not by a lot. Your handset's manufacturer will still add its own "features" on top of the new Android release, and some of those will still need rewriting. Nothing changes from that point of view. It's only that, with Project Treble, no additional work will be required from silicon manufacturers before a device maker can get into that process. Project Treble is already live in the first developer preview of Android O. and it will come to all new devices launching with Android O preinstalled. In addition to all this, Google says it's working with its silicon and device making partners to move some of their code changes, such as specific features for a specific network in a specific country, into the Android Open Source Project code. That means the developers of that code (say, Sony and Qualcomm) won't need to rework those patches for every new Android iteration anymore.